Large 24cm dinner candle that add traditional charm to your dinner table, these white taper candles each have a burn time of approximately seven hours. 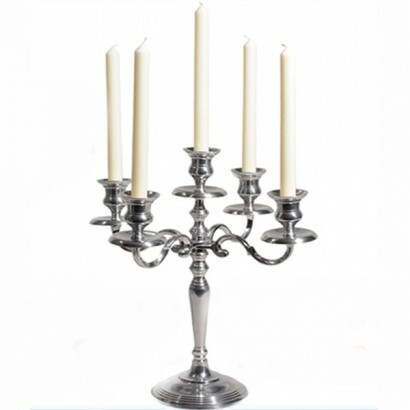 Made from a quality paraffin wax blend, these dinner candle are guaranteed to light up your room even when they're not lit as the wax glows in the dark! Simply allow the candle to charge in natural daylight or artificial light throughout the day and they will shine with a green afterglow that will appear brightly at first and then gradually fade out over eight hours giving a unique ambiance to your table. ordered 4 Glow in the dark candles, they were just what we were looking for. Sadly one arrived broken (it happens!) but they were great, no fuss, sent out a replacement same day. 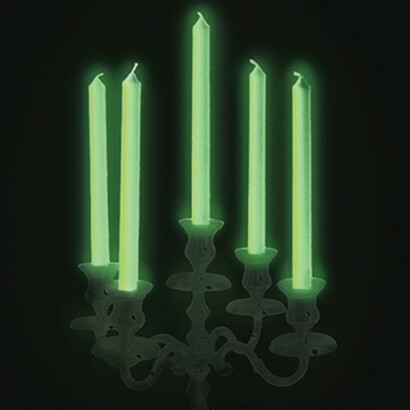 Just perfect for our Haunted Mansion candlesticks!